Hotel Sitzmark Lodge, Vail, United States of America - Lowest Rate Guaranteed! 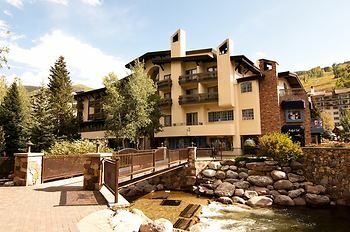 A stay at Sitzmark Lodge places you in the heart of Vail, within a 10-minute walk of Vail Ski Resort and Cogswell Gallery. This family-friendly hotel is 12.7 mi (20.5 km) from Beaver Creek Resort and 0.5 mi (0.9 km) from The Steadman Clinic. A great value for the area! Convienient location in the village, with free enclclosed parking and breakfast included. Room was spacious with great views. There is always construction work nearby in the summer, but this didn't seam to create andy problems. My family has stayed at The Sitzmark Lodge since I was a kid (1970's). It is an absolutely wonderful hotel, amazing staff and amenities, and it is located in the heart of Vail Village. It is my go-to place whenever traveling to Colorado. It never disappoints! The rooms have been updated and they are as much a home away from home as ever. I have always liked the location. For my purposes it is just about perfect. Parking has always been a problem, but they work around it well, so I can't say there was anything I didn't like. Helpfulness of front desk staff. Easy to use wireless connection. Nice room. Lack of soda machines on the floors. Also, the breakfast was lacking in quality. Cold, hard-boiled eggs are not very good at breakfast. The view from our balcony; the location in the heart of the village; the available parking in the garage; the room layout. Elevator not going to parking, Beds box springs were very noisy, Ice mechine was out of order, coffee pot handle was following off. TV remote control very hard operate.